The Orange Pier Olive pattern is a bold and colorful look reminiscent of Spain's festive plateware. 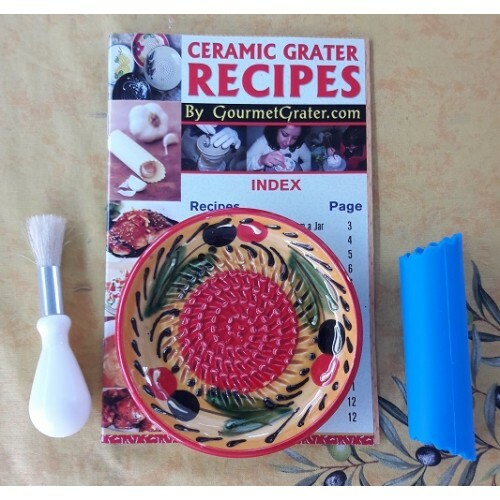 This authentic, handcrafted ceramic grater is perfect for grating garlic, ginger, chocolate, nuts, hard cheeses, zesting citrus, and more! It even doubles as a serving dish just by adding the oil of your choice. All you need to do is rub the food over the rasps on this durable plate. Use the included brush to gather your food from the teeth! This gourmet grater is proudly made in Spain.